Do you have your sights set high for your summer vacation? 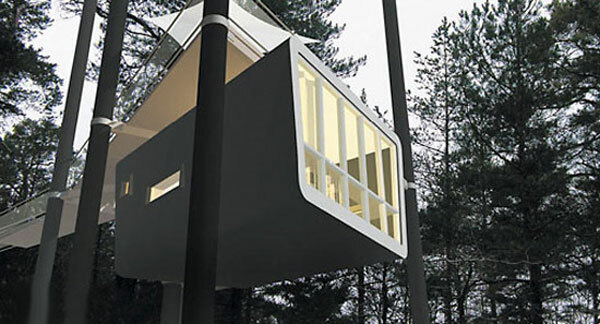 This gorgeous mirror-walled Swedish Treehotel, may just be the ticket. 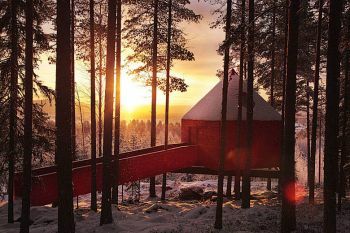 Set in the pristine forests of northern Sweden, just miles away from the Arctic Circle, the Treehotel combines stunning design with prefabricated treehouse construction plus eco-friendly building strategies that may have you drooling over a vacation in sunny Sweden summer. In a heavily wooded country like Sweden, it comes as no surprise when one comes across a hotel deep in the forest. 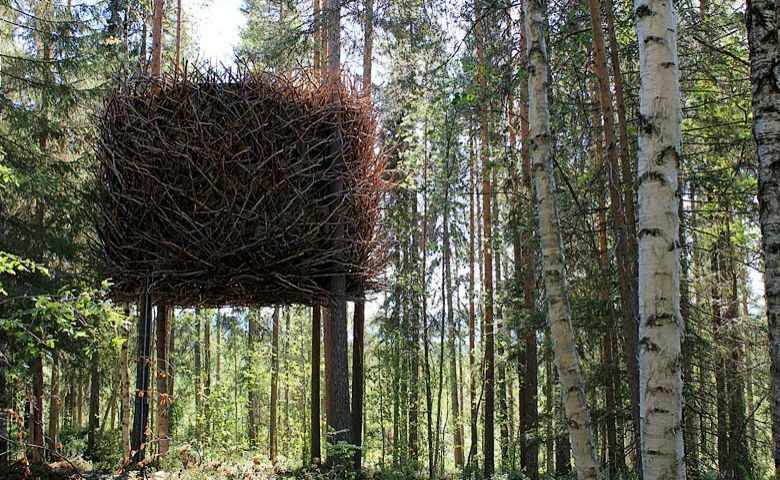 However, the Treehotel is something beyond the ordinary. Located in Harads, a village in the northern part of the country with only 600 inhabitants, the hotel has made the forested region a touristic attraction. 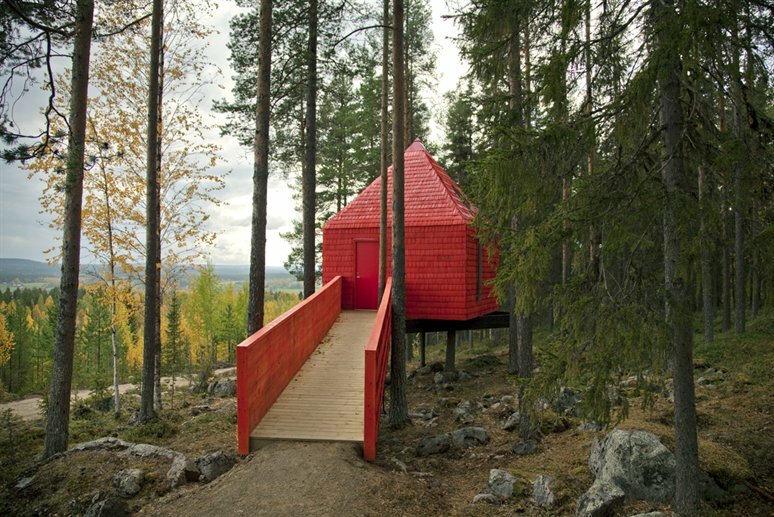 Treehotel’s five Treerooms vary wildly in design, and their names pretty much sum them up – The Cabin, The Mirrorcube, The Bird’s Nest, The Blue Cone (although it’s actually Red), The UFO. Interiors are cosy, but with quality furnishings and décor. They’re all bonkers, in a brilliant way. 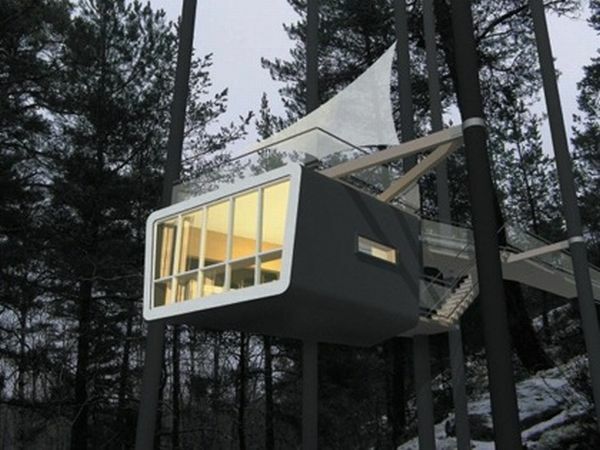 Each treehouse is totally unique, and suspended from trees in a forest. 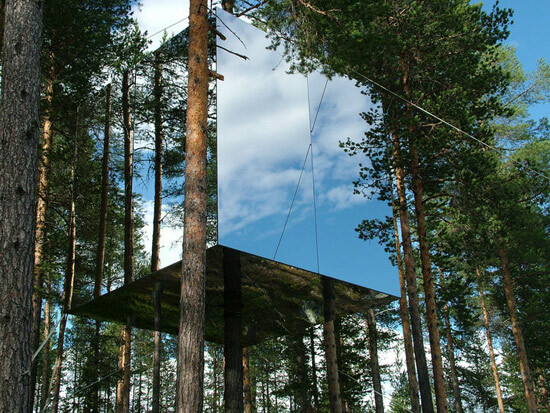 The Mirrorcube is covered in mirrors so that it practically disappears by reflecting the forest. 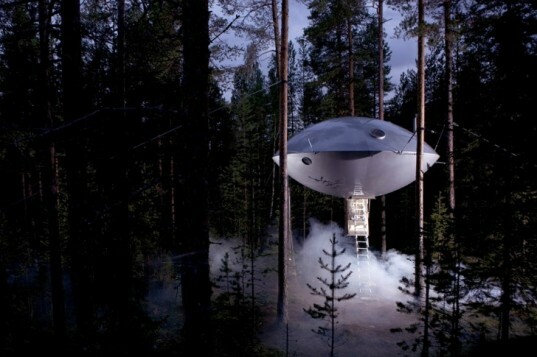 The UFO looks like ET just crash landed, only the spaceship got stuck in high branches and never hit the ground.